A devil ray feeds on plankton at night near the shore of Rinca Island. Over the past few years, significant advances have been made in helping to protect sharks and mobulid rays and in improving the conservation of these marine animals. To a large extent, the advances were made possible by increased awareness of the threats to these vulnerable species from by-catch and from target fisheries, which are driven by the international trade for shark fins and mobulid gill plates. This awareness has, in turn, been generated through the knowledge gained from key data relating to the life-history characteristics of these species, such as age at maturity, rates of reproduction, longevity and so on. In order to obtain such key baseline data, scientific researchers and citizen scientists alike must be able to identify specimens down to species level – and they must do so clearly and accurately, so that the data collected do not produce results that misrepresent the species in question. This is the premise for the creation of the Manta Trust’s mobulid identification guide, which will be released within the next few months. In March 2013, at a meeting in Bangkok, the Manta Trust and colleagues from several international NGOs witnessed the successful listing of manta rays under Appendix II of the Convention on International Trade in Endangered Species of Wild Fauna and Flora (CITES). This precautionary approach adopted by the international community clearly signalled that the unregulated trade of manta gill plates from unsustainable stocks would no longer be tolerated – and it was a very welcome announcement! However, this was just the first step in the process. Following the announcement, regional workshops were established to help researchers in the field and customs officials at international borders to identify the different manta ray and other ray species, and also their dried gill plates (the gill plates are the most valuable part of the ray due to their use as a supposed remedy in Chinese medicine). Preliminary versions of the mobulid identification guide and gill plate identification guide, created by co-author Guy Stevens at the Manta Trust, played a large part in the training workshops. These workshops are a vital step in the implementation of CITES listings, as they develop capacity for national management and scientific authorities to conform to data standards that are essential for demonstrating that specimens originate from a sustainable population and therefore can continue to be traded internationally, albeit under a stringent permit system. Countries unable to conform to the standards would have to adopt strict measures to restrict trade and improve the local management of fish stocks. 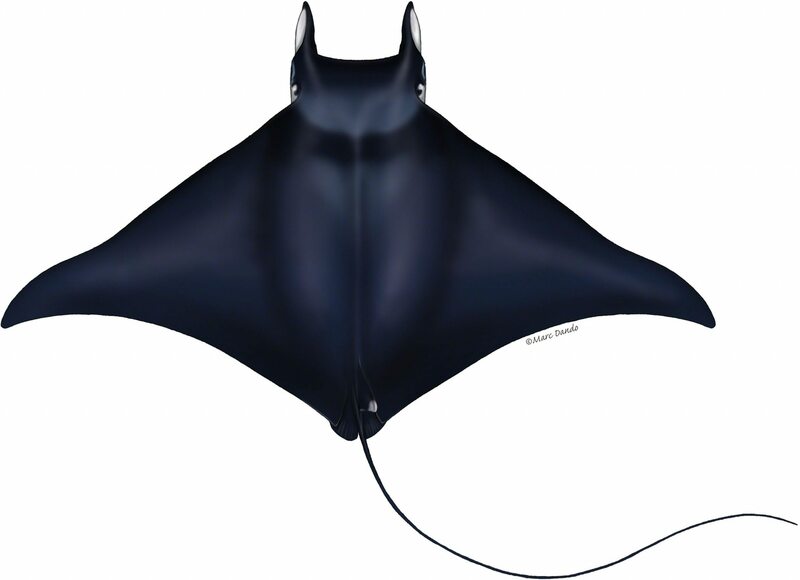 Dorsal illustration of bentfin devil ray (Mobula thurstonii). Countries that are uncertain about the status of their manta fisheries are then encouraged to develop research programmes to collect data in order to assess the size and vulnerability of their manta populations. Based on the data collected, CITES management authorities would have the information necessary to determine whether sustainable trade could be authorised or additional national controls should be mandated. In addition, countries engaged in international trade can use resources such as this ID guide to separate the export of controlled products, such as manta gill plates, from the export of products of other traded species. They can also ensure that the appropriate non-detriment findings and export permits, according to CITES regulations, are included. Some countries, convinced of the positive effects of ecotourism on their national economy, have gone a step further and completely banned all national manta fisheries. A recent example is Indonesia, which used to make a significant contribution to the global trade in manta ray gill plates. The closure of the manta fishery in Indonesia will enable populations to recover from their depleted state and boost ecotourism even further. 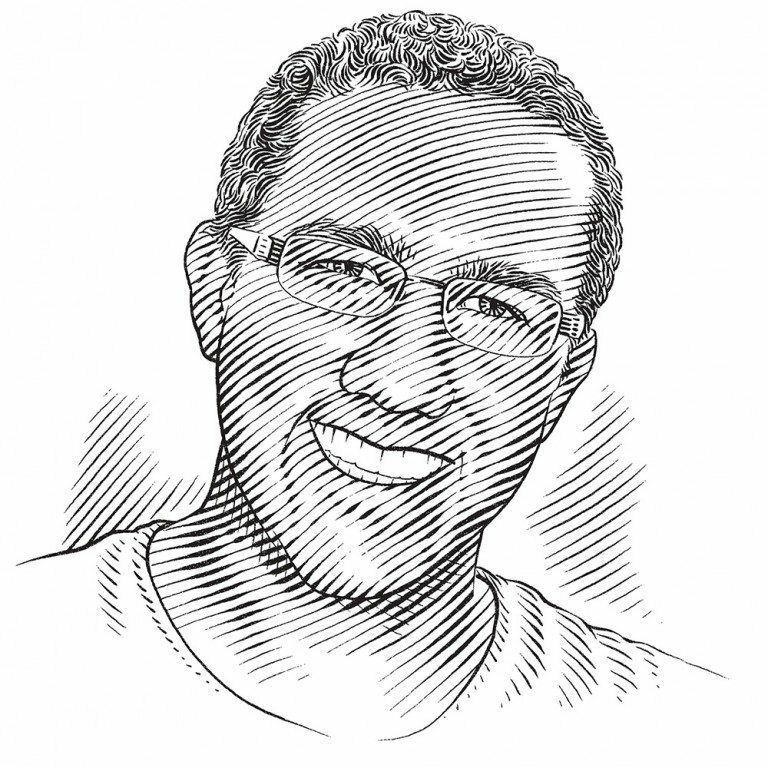 It also provides researchers with a unique opportunity not only to study closely a population that has been given the opportunity to recover, but also to assess the potential of similar fishery closures for other species, including the closely related mobula rays. From a biological standpoint mobula rays, although smaller, are extremely similar to manta rays. They too are facing a severe decline globally and were listed under Appendix I and Appendix II of the Convention on the Conservation of Migratory Species of Wild Animals (CMS) in Ecuador in November 2014. This listing, proposed by the government of Fiji, has helped to highlight the vulnerability of these species and the fact that they were often overlooked, mistaken for other species or ignored because they were too difficult to identify to species level. As a result, they were severely under-reported in fisheries statistics. To overcome these challenges, new legislation is now needed in regional fisheries management organisations and at a national level. Nations attempting to manage fisheries strictly, whether at a local, regional or international level, face two major challenges: to introduce scientific recommendations into legislation, and to ensure that any such regulations are implemented and enforced appropriately. The limiting factor of both these challenges has always been the lack of scientific data, which for manta and mobula rays could be as complicated as the absence of detailed stock assessments, or as simple as knowing which species are present in a given region. 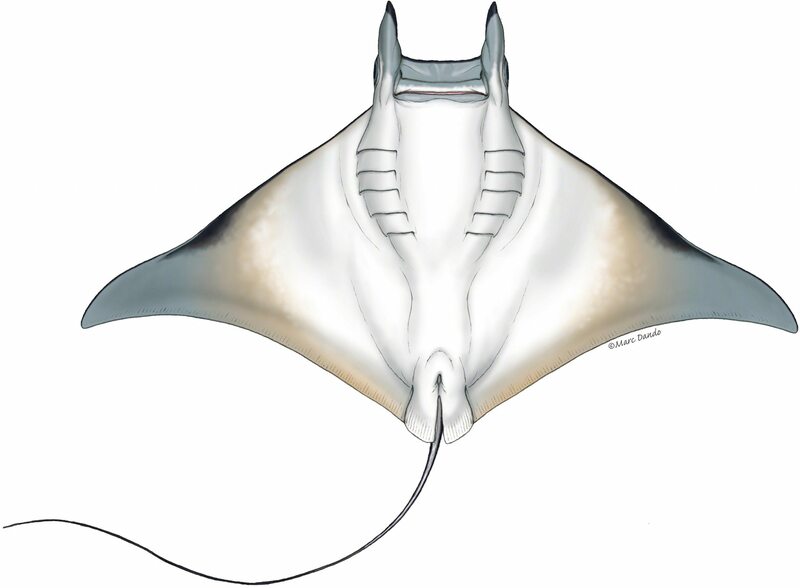 Ventral illustration of bentfin devil ray (Mobula thurstonii). The incredible challenge of accurately distinguishing between the nine mobula ray species is the primary cause for the fundamental lack of knowledge about this genus. Life-history data for most of the nine species are still not readily available and it is anticipated that further research, similar to that being conducted on manta rays, could reveal that at least some mobula populations are even more conservative than currently estimated. If this were the case, it would make the introduction of local fisheries regulations even more urgent in order to manage and protect these species appropriately. Furthermore, the fact that these species are threatened due to the global trade in gill plates suggests that further declines are to be expected, unless this trade is also managed through conventions such as CITES. Consequently, researchers studying these rays will need to compile scientific data to validate any proposed listings and, as is being done for manta rays, assess national or regional stocks to determine the potential for sustainable trade. The identification guide would be an invaluable resource for these processes. It would help, too, to determine where research should be focused in order to fill current data gaps. There is also a project under way, carried out by the Molecular Ecology and Fisheries Genetics Laboratory at Bangor University, to create a mobulid genetic identification kit for all 11 manta and mobula species that will complement the mobulid identification guide. This kit will not only lend additional support for customs officials enforcing CITES and other legislation, in particular for prosecution purposes, but it will also improve our understanding of population connectivity. Information about population structure is vital to augment knowledge used to establish marine sanctuaries that can protect the core habitats and home ranges of all mobulid ray species. Both the kit and guide will also provide the tools necessary for other countries to follow in the footsteps of Indonesia and ban manta fisheries entirely – even to take a step further and prohibit the fishing of mobula rays as well. It is my hope – and that of my co-authors from the Manta Trust, Giuseppe Notarbartolo Di Sciara and Guy Stevens – that the global mobulid identification guide we are creating, thanks to funding from the Save Our Seas Foundation, will enable researchers around the world to collect vast amounts of information to fill the gaps in our knowledge about these incredibly charismatic rays. This updated knowledge will result in the publication of new scientific literature that will support the promulgation of local and global legislation – be it through conventions such as CITES or national initiatives such as marine protected areas – to guarantee that both manta and mobula rays receive the protection they deserve and are given the opportunity to recover their populations to a state of equilibrium.